Shaped like a snake around the wrist, the Bulgari’s signature ladies’ wristwatch has been given a subtle twist with the Serpenti Incantati. Here’s a preview before it makes its debut at Baselworld 2016, including prices. 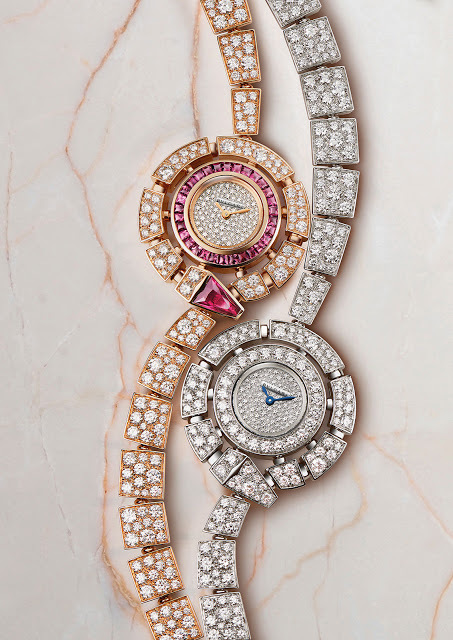 One of the most distinctive ladies’ timepieces ever, the original Bulgari Serpenti is an elegantly simple idea – a snake encircling the wrist as a bracelet, with a watch movement in the snake’s head. Soon to be launched at Baselworld 2016, the Serpenti Incantati – translating as “enchanted snakes” – transforms the serpentine form into something more subtle, shrinking it to go around the face of the watch. While still instantly recognisable as a snake, the case of the new Serpenti is smaller than the original, making a tad more discreet. 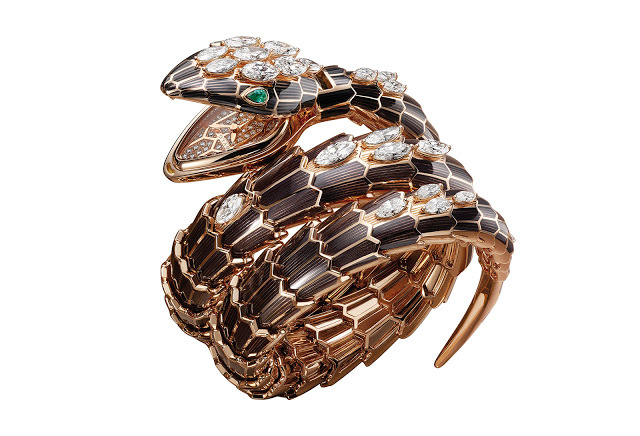 With the body of the stylised snake forming segments of the bezel, the design is modelled on a vintage brooch from the 1930s. 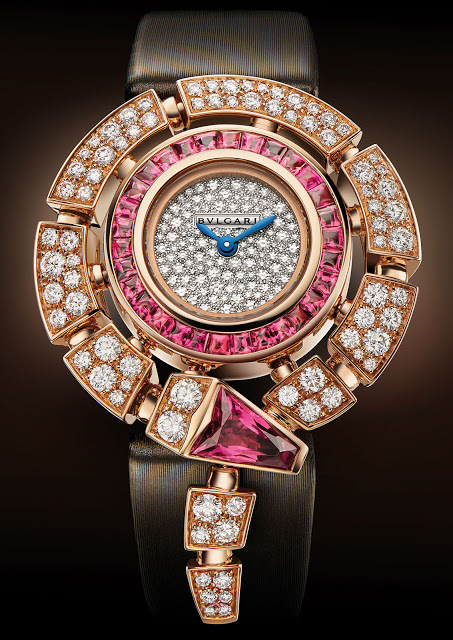 The case 30 mm in diameter, and is available in either pink or white gold, set with diamonds or rubellites. The bracelet version of the Serpenti Incantati is an extension of the snake around the dial, with its body forming the bracelet. The simpler version of the watch is fitted to a satin strap. 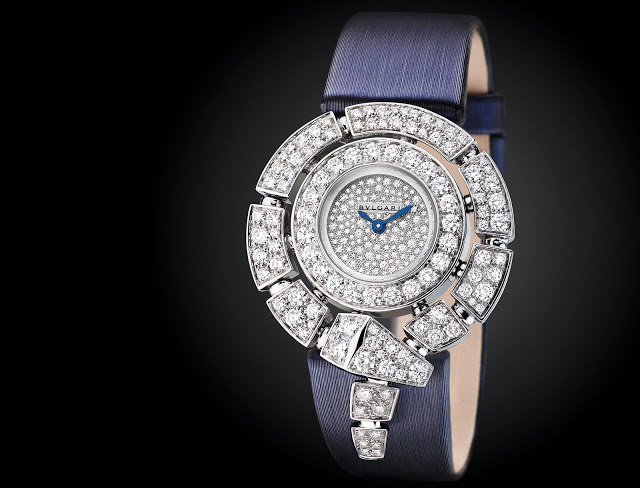 All versions of the Serpenti Incantati are fitted with a quartz movement. The Serpenti Incantati starts at €45,400 for the rose gold version on a satin strap, rising to €84,000 for the model with a gold bracelet.